You are here: EMES - International Research Network | News & Stories | Meet EMES’ newest Science and Communication Manager! It was the support of the Bernheim Foundation that allowed EMES to increase its human power capacity in such essential aspects. We got to know the Bernheim Foundation thanks to their support for the 6th EMES International Conference and we are convinced that they will enjoy seeing the contribution of our newest colleague, Thomas Pongo. For those of you who read and follow us, this name must certainly ring a bell. We had the pleasure of meeting Thomas already seven years ago when he began his PhD research looking at how ethical issues influence the decision making process of organizations. 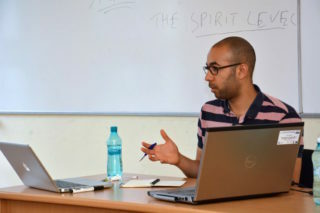 He has participated in the Summer Schools held in Trento, Timisoara and Glasgow, as well as in three EMES Conferences. In the course of the last one, he led the organization of the gatherings of all the PhDs who came to Louvain-la-Neuve. Since the beginning, he’s been passionate about supporting the development of EMES which he considers a noble and meaningful engagement. If you know Thomas, you know that passion is his drive. In addition, he will have a chance to put his organizational skills to good use, namely with the EMPOWER-SE Action, where he will have a major role within EMES. He explains that, originally, EMES “allowed me to enter and ensure relationships not only with friends but also (potential) colleagues“, and he’s now looking forward to meeting many of this people again in his new role. He has always been a curious person, looking out for other researchers from different scientific disciplines and approaches. Thomas certainly is in a unique situation to do so. Having been an active member of the network, he’s have been able to develop a deep understanding of the Network’s strengths, specificities and identity. He is very familiar with its “scientific DNA”: scientific contributions, history, mode of functioning, mission, etc. 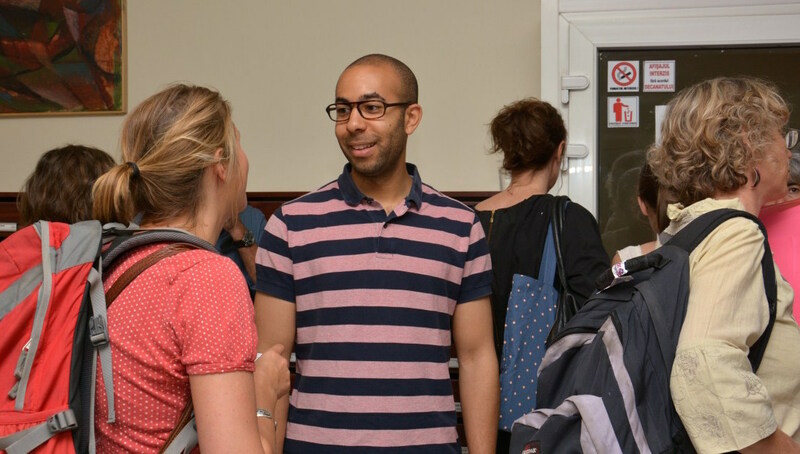 Having said that, his sustained participation in EMES Summer Schools and Conferences has also helped him to establish quality relationships with EMES’ current administrators, staff and PhD students. This seems like an ideal departure point to increase the collective ability to strengthen the institutional sustainability and outreach of the EMES Network. Please help us welcome our new Science and Communication Manager, Dr Thomas Pongo!